Mister Rogers arrives with a toy raccoon as well as a raccoon mask. Putting on the mask, Mister Rogers sings I'm a Raccoon and crawls on the floor pretending to be a raccoon. He takes some time to remember a ballet about a raccoon family's bedtime routine. 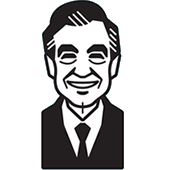 Mister Rogers explains that just because he wears a mask, that does not change who he is on the inside. Leading into Make-Believe, Mister Rogers places the raccoon mask on the Trolley and shows that even with the mask on, the Trolley does not change. In the Neighborhood of Make-Believe, Lady Aberlin is doing some research with King Friday's pet birds when Harriett Elizabeth Cow stops by and shares that the school children are planning a play. King Friday emerges dressed in a bird costume and scares his pet birds away. Harriett Cow shares the plans for a play which Lady Aberlin agrees to direct. Left alone, Lady Aberlin is greeted by a ballet dancer who dances her way around the Neighborhood. The dancer inspires Ana Platypus to be a ballerina in the school play. At the clock, Lady Aberlin finds Daniel wearing a raccoon mask and decides he will play a raccoon in the play. Together they sing the Creation Duet. Back at the house, Mister Rogers makes a raccoon mask out of a paper back and black yarn. Putting on the mask, he sings I'm Still Myself Inside. The raccoon family segment also appears in Episode 1271 and originally aired in Episode 1120. Harriett Elizabeth Cow mentions that she is a founding member of the Living Prose Society. The ballerina who dances through the Neighborhood of Make-Believe is played by Paula LeVere. The lyrics to the Creation Duet are slightly altered by replacing the word "God" with the word "Love."